This university has over 7,000 students with a student to faculty ratio standing at thirteen to one! Their mission is to educate the whole student, not only their mind, and they hold justice, leadership, and faith in their top values. SU is ranked the top private school in the Northwest and we are honored to provide services for this local school. Impressively, the school is highly economical as well. Every year the school claims to reach near $525 million in its regional economic impact. That’s a number Seattle, WA thrives on! This university is an amazing testament to the longevity of our Auger Compactors. 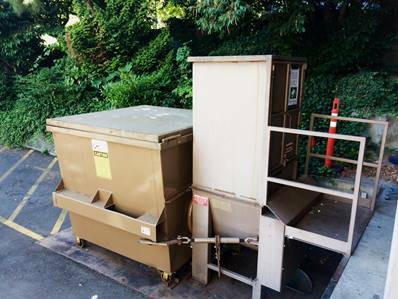 We actually have three Commercial Compactors running at Seattle University reaching their 15th anniversary! Installed in 2002 and 2003 Sani-Tech manufactured and installed custom Auger Compactors for the Recycling and Waste Facilities at SU. 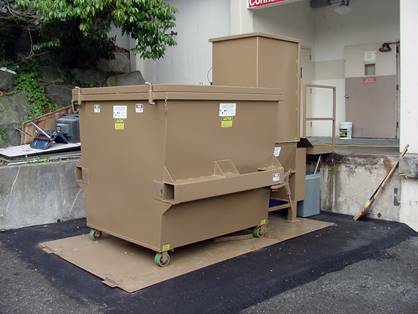 Pictured is one Cardboard Compactor, model ST524 with an attached Sanitech Bin for the popular Jesuit centered school. This University Compactor has proven itself year after year, like all Sanitech products, an Auger Compactor will benefit your business in its entirety. Eric E., Seattle University Facilities.